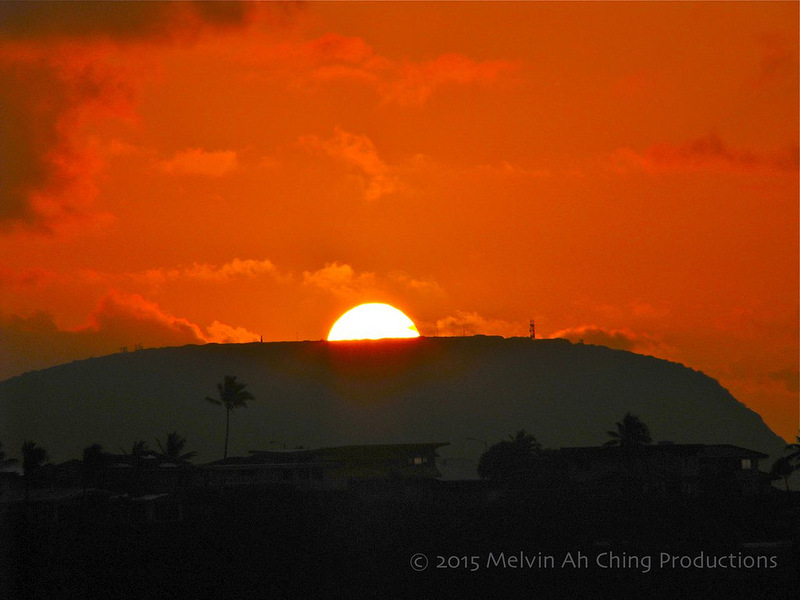 This is one of many sunrise pictures I have posted on Flickr. I have a love-hate relationship with Flickr. I’ve been using the Flickr photo sharing service since 2004. I think this was some years before Flickr was sold to Yahoo. Back in those days Flickr users were a happy bunch of photographers. The interface was simple, uncluttered, nice and a pleasure to work with. By 2010 things changed. 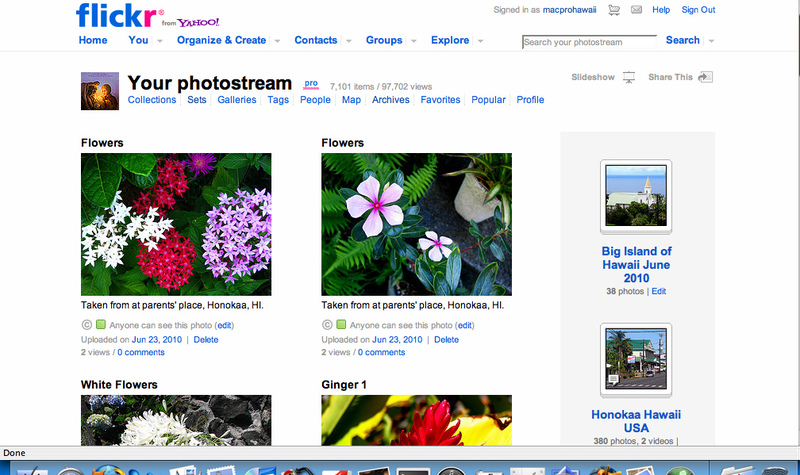 Yahoo bought Flickr and big changes to their user interface and presentation were implemented. Many Flickr photographers, who I believe include a large group of crusty older people who love familiarity in how things are done, got upset. Implemented changes to Flickr’s presentation, user interface and features have often been met with stiff opposition from long time users. Complaints were made in numerous public posts to the Flickr Help Forum. Users asked Flickr to return the user interface to how it was. Most if not all requests to have Flickr rescind new features or allow the old timers to use the old interface as an option fell on deaf ears. On May 7 Flickr implemented a new “Auto Tag” feature that retroactively applied automatic tag links to not only newly uploaded photos but to all photographs in every user’s library. For many users we are talking about hundreds if not thousands of photos. “Tags play a key role in how you organize and search for photos on Flickr and today, we’re happy to share some changes that make tags more powerful. You’ll notice that tags added by Flickr will appear in an outlined box to make them visually distinct from the ones you add (which appear in a gray box). As the photo’s owner, you can delete any tags you don’t want or tags that are inaccurate. While we are very proud of this advanced image recognition technology, we’re the first to admit there will be mistakes and we will constantly be working to improve the experience. Usually, you can tell why a mistake was made (sometimes a bike looks like a motorcycle), but occasionally, it may be baffling (no, your grandma doesn’t look like a cat!). But the good news is that if you delete an incorrect tag, our algorithm learns from that mistake and will perform better in the future. 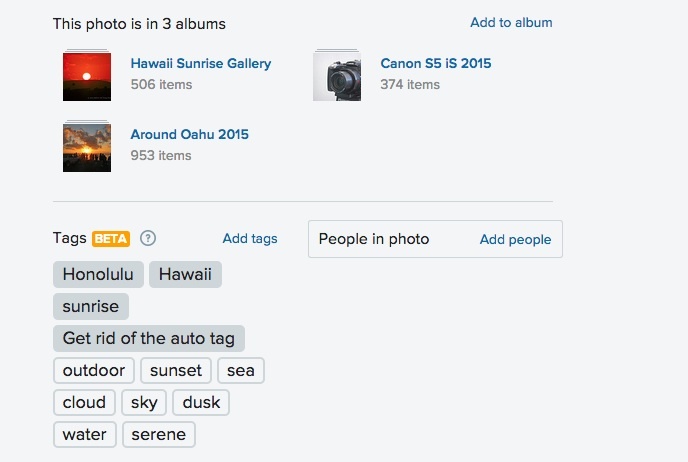 The tagging process is completely automated — no human will ever view your photos to tag them. And, as always, Flickr treats privacy very seriously by respecting your settings. You maintain complete control over which photos are visible to others and which are available for search. As we’ve redesigned Flickr, we’ve tried to make it the one place where you upload every photo and video you take, and then easily find, organize, edit, and share them. This requires powerful image search, and to deliver that, we need to be able to identify the content in each photo, whether you add tags and descriptive titles or not. Before, our search could only rely on text, date, and location (when available), but now visual patterns in the images can help us identify and surface the best results in your searches. Many of the improvements to search results you’ve seen over the past several months are the result of these tags. These tags also provide the opportunity to bring you lots of innovative features that we’re incredibly excited about. The new “Magic View” on Camera Roll is the first of these powerful new innovations — we hope you love it. First of all in the quoted statement above, Flickr tells users that it “treats privacy very seriously by respecting your settings.” Wrong. They forced a default setting upon the users by implementing Auto Tag as a standard feature and not an option. Users should be able to OPT IN on the tagging and many other features that Flickr has implemented. Flickr updated their post to state that batch removal of Auto Tags are coming. Hopefully that will be implemented soon and that there will be a permanent opt out from the Auto Tagging process. Meanwhile many photos are tagged wrong. All of my Sunrise photos are auto tagged as “sunset” while my manual tags are correctly stated as “sunrise”. Manually tagged as “sunrise”; Flickr bot tags it as “sunset”. Not good! As an end user, I want complete control of my Flickr photo experience. This includes how my photos are tagged. The gray tags are user generated while the white tags are auto inserted by Flickr. The guidelines specifically state “We don’t tolerate spam, deceptive tagging or other abusive means to generate revenue and traffic.” Since tagging is only for the purposes of generating traffic, then blind auto-tagging definitely generates deceptive tags. For example the Flickr tag category of “bird” has been put on many of my photos that do NOT contain a single bird, but rather lions, whales, dogs, kangaroos and people. Since I have over 4,600 photos, I don’t think it is right that I should go through them all and eliminate all the deceptive tags. The person(s) or system(s) that added them should have to remove them, all of them. The Tag-Bot is supposed to respect our privacy settings. Mine is set so only I can add tags, but that dumb Tag-Bot adds tags anyway. Thanks Flickr for not respecting my privacy settings and adding a bunch of idiotic meaningless tags to my images. Numerous complaints have come in about incorrectly tagged photos. Bird tags where there are no birds in the photo. Ships tagged as cars. Sunrises tagged as sunsets. Bottom line is that many Flickr users don’t like the Auto Tag as well as other interface enhancements (Camera Roll, Wall Art, Layout, etc.) made recently and over the last 5 years. The old way that Flickr displayed photos and albums was better. A sunrise is a sunrise. It will never be a sunset. This entry was posted in Commentary, Photography, World Wide Web, Yahoo and tagged auto tag, changes, Flickr, interface, non-responsive, opinion, photo sharing, tagging, website. Bookmark the permalink.